A Rinkya Blog: Attack of the 59 Foot Gundam! Move over Godzilla your match may have been met. This 59 foot tall Gundam is a life size version of the popular Japanese Anime Robot. The pictures were released now since the official website for Gundam Crisis is now open. 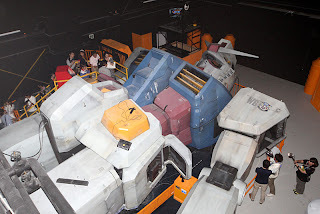 The Gundam Crisis attraction will open at Fuji-Q Highland, located at the foot of Mt Fuji. 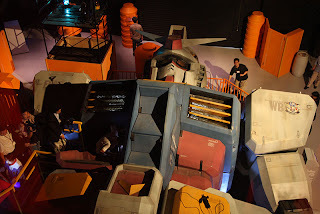 Visitors to the park will be given mission objectives, only ones who clear the mission can enter Gundam's cockpit. I see why Japan drafted laws for Robots, this is one scary, cool looking robot!